The Business Alumni was developed by the School and the Old Boys’ Association in 2010 to recognise Old Boys who have made a significant contribution to business creation and development. It is the Business Alumni’s intention to name one or two new members annually to join the Palmerston North Boys’ High School Old Boys’ Business Alumni and as this list grows we hope the biographies will inspire those who take time to read what those in our alumni have achieved. 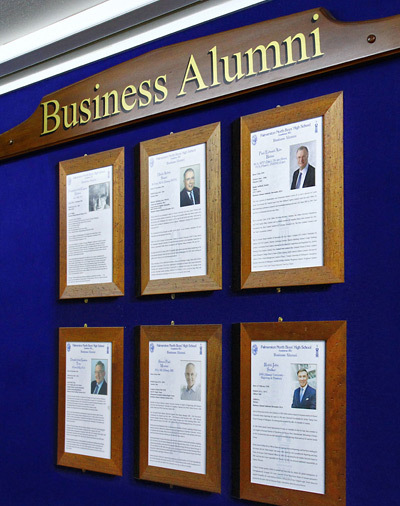 The Business Alumni hopes that young men, who are aspiring business leaders of the future, are able to read the achievements of our Business Alumni inductees and accordingly set goals for their own career. The young men of the school do appreciate the achievements of our Old Boys and it is important for them to recognise the opportunities available and to read about Old Boys who once sat in the same seats as they are sitting in now. We believe that it is important to acknowledge those who make a difference, who take the opportunity to lead in their careers or personal lives as these people make a difference to the quality of our lives. As a school, we continue to emphasise the importance of competition and achievement. We have many proud Old Boys and we are indeed proud of them and for the difference they have made; their actions have endorsed our values. We believe that the Business Alumni tradition is in keeping with the high standards the School strives to develop and maintain, and we hope that the actions and achievements of our Old Boys may inspire generations to come. After leaving school, Bart studied at Otago University from 1989-93, where he completed a BA and LLB. He was admitted to the Bar in 1994 and was a graduate lawyer in Auckland from 1994-96. He then completed his Masters in Commercial Law (with Honours) at the University of Auckland from 1996-98, completing his thesis in sports law and the media at the University of Vermont in the United States in 1997/98. Executive. He steered the company through a listing on London’s alternative market and saw the company expand with offices in London, Australia, South Africa, New Zealand, India and Japan. After the company merged with Chime Communications in 2009, Bart became the Chief Operating Officer of its sports division, CSM Sport & Entertainment, with more than 650 staff in 13 countries. In 2010 Bart completed an Advanced Management Programme at the world-renowned Harvard Business School in the United States. He continued to work in London until he sold his company in 2013. Bart then led a consortium that purchased the Melbourne Storm NRL club from Rupert Murdoch’s News Ltd.
Bart took over as Chairman shortly afterwards and he relocated to Melbourne. Bart is currently Chairman and shareholder of the Melbourne Storm, and also of the Sunshine Coast Lightning Netball team. He is also Executive Chairman at sports agency TLA Worldwide, a company that along with athlete representation and sports marketing, organises high profile sports events. TLA was responsible for bringing the All Blacks to the United States for matches in recent years. Bart lives in Melbourne with his wife, Pippa, and two children Andie and Finlay. On leaving Palmerston North Boys’ High School, Bill completed an Honours degree in Chemistry at Massey University in three years. He then completed an MA at Oxford University (University College) in politics, philosophy and economics, where he was supported by a New Zealand University Grants Committee Postgraduate Scholarship. Bill was also awarded a prestigious Fulbright Scholarship but he chose to attend Oxford instead. Bill then taught for a year at Hill House Junior International School in London before returning to New Zealand, where he became a foreign exchange and then currency options trader for New Zealand investment bank, Zealcorp, and then the Bank of New Zealand. successful New Zealand private companies, including Palmerston North’s own Ezibuy and New Zealand Pharmaceuticals. In 2014 Bill became the founding chief executive of the $100 million philanthropic NEXT Foundation,leading NEXT’s significant environmental and educational investments, as well as taking oversight of previous philanthropic commitments made by NEXT’s benefactors, Neal and Annette Plowman. 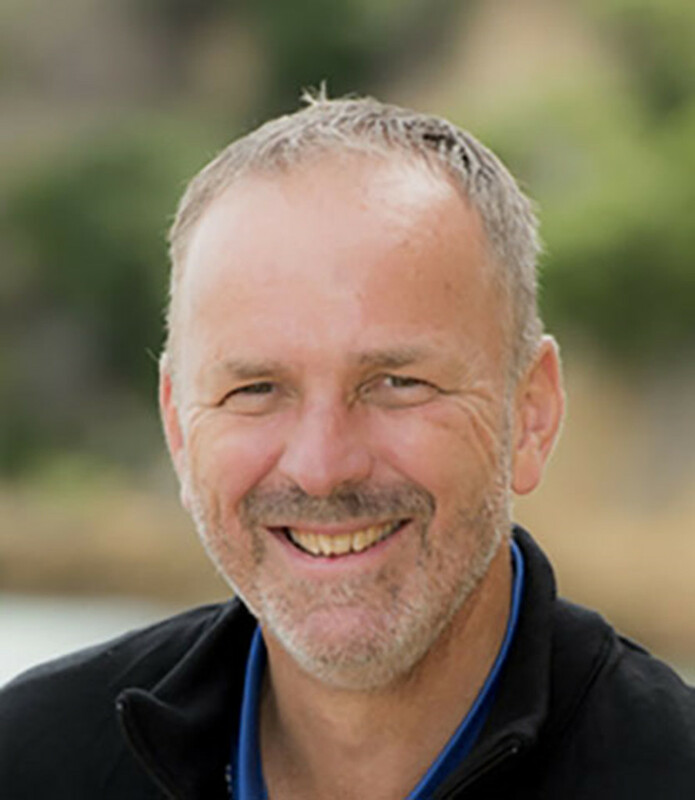 Bill is a director of the Edmund Hillary Fellowship, which offers global social change-makers a path to New Zealand citizenship through New Zealand’s Global Impact Visa and is currently chairman of the PNBHS Education Foundation Trust. Bill lives in Auckland with his wife, Robyn and is a proud father of three. Upon leaving PNBHS Ross studied Mathematics and Economics at Massey University before transferring to Canterbury University where he studied Law and the Arts. In 1983 he worked as a law clerk in Christchurch, and while in Canterbury Ross played for the Canterbury Colts rugby team, Canterbury Maori and Canterbury B. 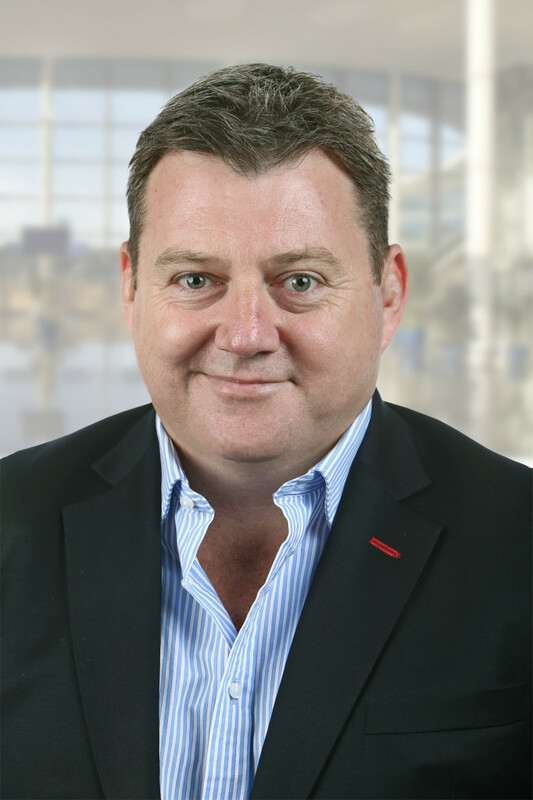 In 1985 Ross joined the Hong Kong office of US law firm Baker and McKenzie, and then in 1987 he joined BKW Partners, a private equity investment company in Hong Kong. While at BKW Ross became a director and shareholder of the company. During his time there Ross played for the Hong Kong rugby team from 1985-87. In 1994 Ross returned to New Zealand to start up New Zealand’s first private equity fund, Direct Capital,with fellow Old Boy Bill Kermode. Direct Capital has grown to be New Zealand’s most experienced private company investor and it has invested $1.2 billion in private businesses in New Zealand and Australia. The company’s New Zealand investor base includes sovereign wealth funds, pension funds, community trusts, iwi groups, religious trusts and other institutional investors. Direct Capital has invested in close to 70 private companies to fund growth, acquisition and succession initiatives. Current funds have invested in 19 portfolio companies that employ more than 5,000 staff. Ross currently holds directorships at Bayleys Real Estate, e-commerce company Fishpond Ltd, and Complectus Ltd, a New Zealand financial services supervisory business. 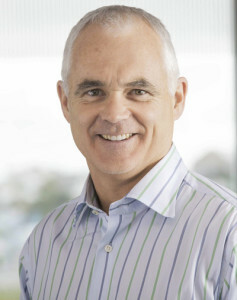 In 2016 Ross was presented with an Honorary Lifetime Award from the New Zealand Venture Capital Association, and in 2017 he was awarded the New Zealand Private Equity and Venture Capital Association Leadership Tribute “for his outstanding leadership commitment to the New Zealand private equity industry”. Ross and wife Deb are heavily involved with education. Deb founded Teach First, and they established a boarding hostel for Maori boys to attend Auckland Grammar School and girls to attend Epsom Girls’ Grammar. Ross and Deb have two children and live in Auckland. CBE, Knight Bachelor, A.T.C.L (London), LL.B (Victoria), D.Litt (Hon) (Massey). RSM School Cadets – Battalion 2IC for NZ Cadets. Upon leaving PNBHS, Sir Brian studied at Victoria University in Wellington. Upon qualifying in law he returned to Palmerston North and was a partner in McBride Lusk & Elwood. In the 1960s Sir Brian became an advisor/company director in a range of companies involved in the farming, timber, motor vehicle, finance and newspaper industries. For a time Sir Brian served as the Board Chair of the Tribune newspaper. Sir Brian became a PNCC Councillor in 1968 and continued in this role until 1971 when he became Mayor of Palmerston North, a post he held until 1985. During this time he was also a member of the Wellington Harbour Board, was an Executive Member (and later President) of the New Zealand Municipal Association and was heavily involved in a range of other civic roles. From 1985-1990 Sir Brian was responsible for the comprehensive reform of New Zealand’s local government structures. 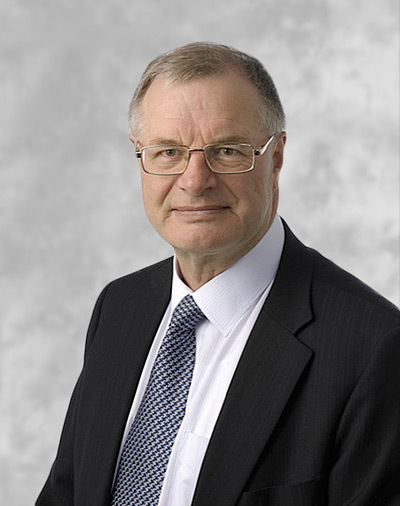 He was made a Commander of the Order of the British Empire (CBE) in the 1985 New Year Honours List for services to local government and to Palmerston North. He chaired the Survey Industry Review Commission in 1989/90 and was subsequently made an honorary life member of the NZ Surveyors Institute. 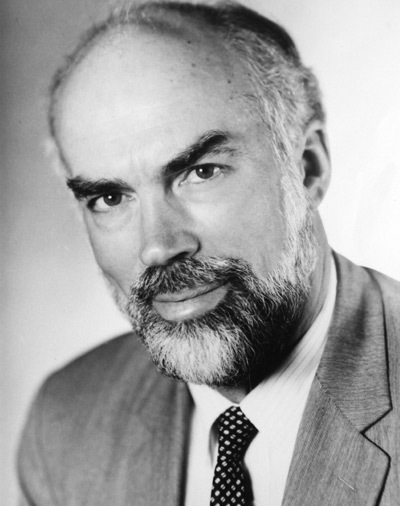 In 1990 Sir Brian became Commissioner for the Wellington Health Board responsible for Wellington, Hutt Valley, Kenepuru and Wairarapa where he was prominent in the reform of New Zealand’s hospital administration. Sir Brian was knighted in the 1990 New Year Honours List for services to local government. In 1992 Sir Brian was appointed as an ombudsman and in 1994 he became Chief Ombudsman, a position he held until 2003. 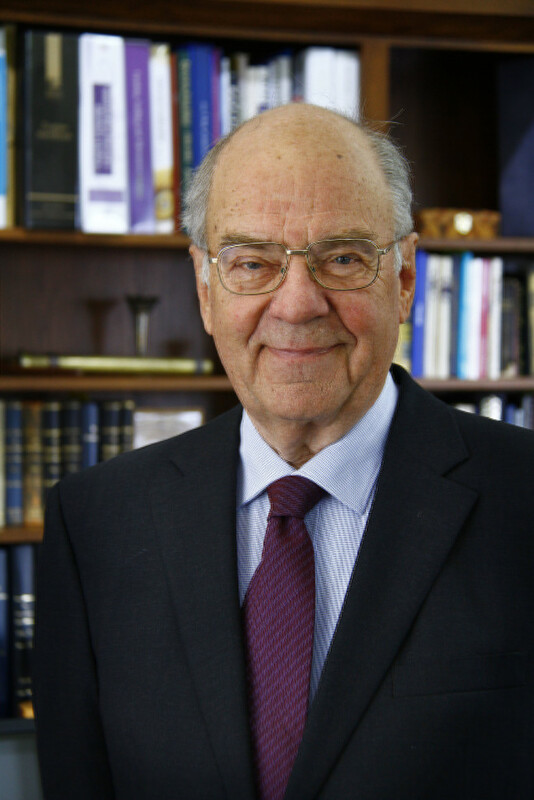 In 1999 he was elected as president of the International Ombudsman Institute. Sir Brian has served on a number of boards since his retirement, and was Chair of the New Zealand Kiwifruit Board from 2004-15. He retired “for the last time” in 2015, at the age of 82. Sir Brian and his wife Dawn have three children and six grandchildren and live on the Kapiti Coast. 1st in Form VB in 1962. Bruce began his accounting career with Spring Goddard and Pritchard Chartered Accountants in Palmerston North while studying part-time to qualify as a member of the New Zealand Society of Accountants. He gained a Bachelor’s degree from Massey University and later completed an MBA at Cornell University, New York. Bruce emigrated to Canada in 1969 where he worked for PWC then Traders Group, a Toronto-based merchant bank and became a member of the Canadian Institute of Chartered Accountants. In 1974 Bruce transferred to London with Traders Group to set up their UK operations. Principal activities in this role included financing deep sea cargo vessels. In 1980 Bruce moved to New York, and in 1983 he was elected as a Senior Vice-President of the National Bank of North America. He headed the bank’s specialised industries department, which was responsible for ship lending activities and the financing of aircraft, from his Wall Street office. 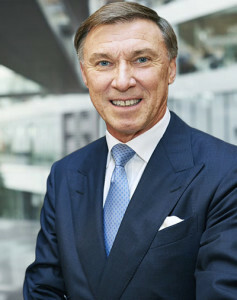 In 1986 he returned to the United Kingdom as Deputy Managing Director of Ship and Offshore financing of Den Norske Bank, a position he held until 1997. In 1997 Bruce retired from Den Norske to set up his own consulting business. He now divides his time between the United Kingdom and New Zealand. Bruce has published several articles on leverage leasing for aircraft and ship financing and has presented papers in New York, London and Hong Kong on a range of marine and aircraft financing. Senior 120 Yards Hurdles Champion 1957. Born in Palmerston North in 1940, John left PNBHS to attend Massey University where he attained a Bachelor of Agricultural Science. He was then awarded a prestigious Rhodes Scholarship to Oxford University, the first PNBHS Old Boy to gain the famous scholarship. While studying at Oxford John played for the University team against Wilson Whineray’s 1963/64 All Blacks. Upon leaving Oxford, John worked as an economist for W R Grace in the United States and United Kingdom before taking up a role with Pfizer in strategic planning. He then moved with Pfizer to head operations in India and Bangladesh. While in India John made his international rugby debut, playing for India against Bangladesh. Returning from the sub-continent to the United States, John became the International Vice-President of Pfizer before a move to Colgate Palmolive after being hired to develop Colgate’s first Strategic Plan. He went on to head Colgate Palmolive’s subsidiaries as Managing Director in South-East Asia out of Australia, the United Kingdom and Greece. John then became Chief Technical Officer for Colgate Palmolive, in charge of Global Research and Development, IT and the Supply Chain and he worked in that role until his retirement from Colgate Palmolive in 2000. 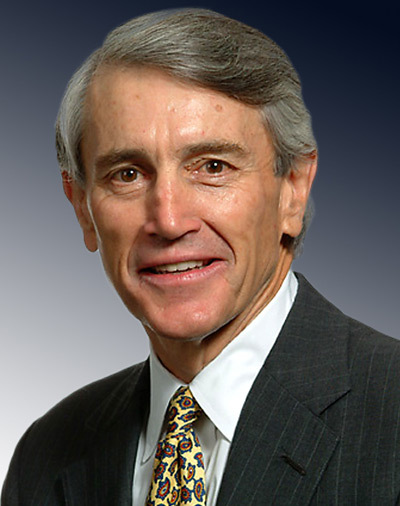 Following his retirement, John was invited to take up a position as Adjunct Professor at the Stern Business School at the City University in New York and has been a board member of the Centre for Global Development, a think tank organisation that has played a significant role in setting foreign and budget policy in the United States. He currently serves on a number of boards, including that of Egenix, a biotech start up company researching drugs designed to prevent cancer pathways. John and his wife Claire have two sons, Thomas and Christopher, and they currently live on a 70-acre property north of New York. 1st Form VI French; 1st Form Va English. Upon leaving PNBHS David attended Victoria University, where he gained an MA (Hons) in History. In 1959 he joined the Ministry of Foreign Affairs in Wellington, and in 1964 he became First Secretary for the New Zealand Permanent Mission to the United Nations in New York. In 1968 David returned to Wellington to become the Assistant Head of the Africa and Middle East Division for the Ministry of Foreign Affairs, a role he was in for two years before being seconded to London as the Special Assistant (Political) to the Commonwealth Secretary-General. In 1977 David was appointed as New Zealand High Commissioner to Fiji with accreditation to Nauru, Kiribati and Tuvalu. He later became Assistant Secretary at the Ministry of Foreign Affairs, during which time he also served as High Commissioner to India and Bangladesh and Ambassador to Nepal based in Wellington. From 1985-88 David was the New Zealand Ambassador to the United Nations in New York, where he was a permanent representative with brief inter alia to advocate disarmament and nuclear-free policies. He then became Director General of the Department of Conservation until his appointment as Chief Executive of the Department of the Prime Minister and Cabinet. In 1992 David became the New Zealand Ambassador to Japan and in 1994 he assumed the role of Director-General of IUCN, the World Conservation Union, a position he held until 1999. Since 1999 David has filled a number of roles, including acting as a consultant on a range of environmental and conservation issues, as a member of World Bank Advisory Groups and as Vice Chair of the Ministerial Advisory Committee on Oceans Policy in New Zealand. Most recently, he has been a member of a panel examining the social and environmental impacts of the Nam Theun 2 Dam in the Annamite Mountains region of Laos. Born in Palmerston North, New Zealand, in 1958, Robin earned a degree in business studies at Massey University before beginning his career in 1982 as a Chartered Accountant for Arthur Young (now Ernst & Young) in Wellington. He subsequently accepted the offer of a transfer to London. Robin joined Adidas AG in 1996 as Head of Corporate Services/Reporting, and has been working for the brand with the “three stripes” ever since. After stints as a vice president for Reporting and then Taxes, he became Chief Financial Officer in 2000. He was elected to the Adidas Executive Board in 2001 and has since been responsible for Finance. In 2005, he assumed additional responsibility as Labour Director. A fluent German speaker, Robin is married and lives near the Adidas AG global headquarters in Herzogenaurach, Germany. He is also a member of the Supervisory Board of German automotive supplier Schaeffler AG. And while he remains a lifelong fan of New Zealand rugby, Robin shares his passion for the sport with the Bavarian Rugby Association, where he acts as Patron. Paul was a partner of sharebrokers and investment bankers Jarden & Co and a director of Credit Suisse First Boston NZ Limited (now First New Zealand Capital Limited) until the early 1990s. He held leadership positions in research and investment banking and was CEO from 1987 to 1993. Paul has been a professional director since then. 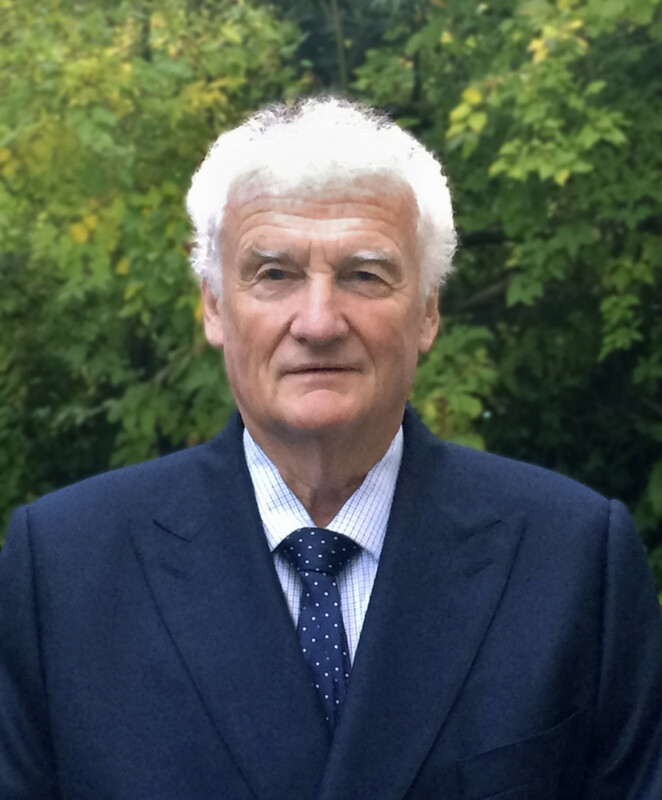 He is currently Chair of the Gillies McIndoe Research Institute, the Gillies McIndoe Foundation and Todd Family Office Limited, and is a Board member of Chamber Music New Zealand Inc, IHC Foundation Inc, New Zealand Institute of Economic Research Inc, The New Zealand Treasury and The Todd Corporation Limited. Paul is a former Board member of Barnardos NZ Inc (Chair), Comalco NZ Limited, Databank NZ Limited, EDS NZ Limited, Fletcher Challenge Limited, Fletcher Building Limited, Gough Holdings Limited, Greenstone Fund Limited, Institute for the Study of Competition and Regulation Inc, Jardine Fleming China Region Limited, New Zealand Post Limited, New Zealand School of Music Limited, Queen Margaret College, Reserve Bank of New Zealand, South Eastern Utilities Limited, Telecom NZ Limited, Tower Funds Management Limited (Chair), Victoria University of Wellington Foundation, Victoria University of Wellington Institute of Policy Studies, Wrightson Limited, Wrightson Farmers Finance Limited (Chair), and Young Enterprise Trust Inc (Chair). Business Alumni Inductee October 2013. Bachelor of Science (Physics), Massey University, Bachelor & Master of Engineering with Honours (Electrical and Electronics), University of Canterbury. Awarded the IPENZ Fulton-Downer Gold Medal 1986 & the IPENZ Evan Parry Award 1989. Simon grew up in Palmerston North. He was awarded a Bachelor of Science, majoring in Physics, from Massey University, followed by a Masters in Electrical Engineering at Canterbury University. He lives in Auckland with his family. When he’s not spending his free time with his wife and kids at the beach, you’ll find Simon at the races cheering on a racehorse he has a stake in. Simon spent nearly 15 years in the energy sector where he worked in various senior positions, including CEO of Powerco Ltd and Station Manager at the New Plymouth Power Station. He also ran his own engineering consultancy and contracting company before first joining Telecom as General Manager of Network Delivery in 1999. 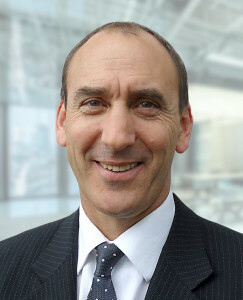 After nine years’ service, including several years as Chief Operating Officer, Simon left in 2008 to lead the successful transformation of Auckland International Airport Ltd as Chief Executive before returning to Telecom in 2012. As the company adapts to its new role as a retail service provider, Simon sees an enormous opportunity for Telecom to reshape itself as a customer-centric business and to re-forge its deep links with New Zealanders. Simon Moutter returned to Telecom in August 2012 to take over as Chief Executive. As CEO he’s responsible for the overall leadership and strategic direction of the company that provides mobile, broadband and IT services to more than two million New Zealanders every day, as well as in Australia. Business Alumni Inductee November 2013. Degree (Accountancy), Honours Degree (Economics), Victoria University. NZ Treasury 1964 – 1969; Wellington City Council 1971 – 1977; Victoria University, Senior Lecturer Government Finance, 1970-77; Australian National University 1979-1981, Australian Department of Finance, Queensland Public Service Commission and Victorian Treasury 1981 – 1993; OECD, Paris, 1993-97; International Monetary Fund then the World Bank, Washington DC 1997-2005; Meridian Energy, Director; Tertiary Education Commission, Chair; Independent Commission of Inquiry into Local Government Funding, Chair; Royal Commission on Auckland Governance; IMF and World Bank, Consultant. David studied for an accountancy degree at Victoria University part-time, joined Treasury and then did an honours degree in economics. 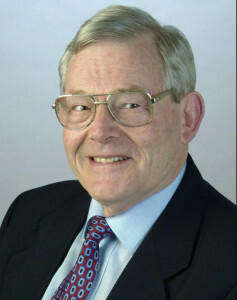 He was active in student affairs and Labour politics and was elected to the Wellington City Council in 1971 at age 26 and served two terms. Twice an unsuccessful candidate for Parliament – Wellington Central in 1972 (missed by 27 votes) and 1975. His professional life has focused on public sector reform – as an academic, consultant, NZ and Australian and international civil servant. David was Senior Lecturer in Government Finance at Victoria University 1970-77 then joined the Australian National University. He then held senior positions in the Australian Department of Finance, Queensland Public Service Commission and Victorian Treasury between1981 and 1993. He joined OECD (Paris) 1993-97 as public sector reform specialist before transferring to International Monetary Fund then the World Bank in Washington DC 1997-2005 working on public sector reform in over 40 developing countries. Since returning to NZ in 2006 David has been a director of Meridian Energy, Chair of the Tertiary Education Commission, Chair of the Independent Commission of Inquiry into Local Government Funding and a member of the Royal Commission on Auckland Governance. He currently serves on three charitable boards including Auckland City Mission, is active in his Iwi (Ngai Tahu) and continues international consulting work for IMF and World Bank. Business Alumni Inductee February 2012. Chartered Accountant, Bachelor of Commerce in Economics at Victoria University, Wellington; University prize for Accountancy in 1956, University Blues for rugby 1957-59 and athletics 1957; Rhodes Scholarship nominee in 1957, NZ Society of Accountants Travelling Scholarship in 1958; Life Member of the Institute of Chartered Accountants in NZ in 2003; Distinguished Fellow of the Institute of Directors in New Zealand in 2006; Honorary Vice President of the New Zealand Institute of International Affairs. After ten years with professional accounting firms, he joined the academic staff of Victoria University in 1965, becoming Professor of Accountancy in 1971, before retiring 35 years later in 2006. In 1999 he was included in Victoria University’s short list of the ‘great teachers of the century’ and on retirement the ‘Don Trow Visiting Research Fellowships in Accounting’ were named in his honour. Director: NZ Stock Exchange (1989-2002), Ryman Healthcare (1999-2010), Opus International Consultants (2007-2010) and Northland Co-Operative Dairy Company (1993-1997). Chairman: statutory management of Equiticorp (1989–2009), NZX Discipline (2004-2008), Audit and Investment committee of the Royal Society of New Zealand (from 1997). Trustee: NZ Law Foundation (1992-1998) and Jack Shallcrass Educational Trust (1998-2008). Don was frequently involved in: setting standards in accounting and auditing; for stock exchange compliance; as an expert witness on accounting matters for the Securities Commission and in court cases. 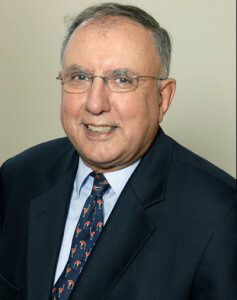 Emeritus Professor Don Trow is widely regarded as New Zealand’s “Mister Accounting”, having ‘cut his teeth’ on preparing financial statements for his father while he was still at PNBHS. Rotary: Award for World Understanding and Paul Harris Fellow. 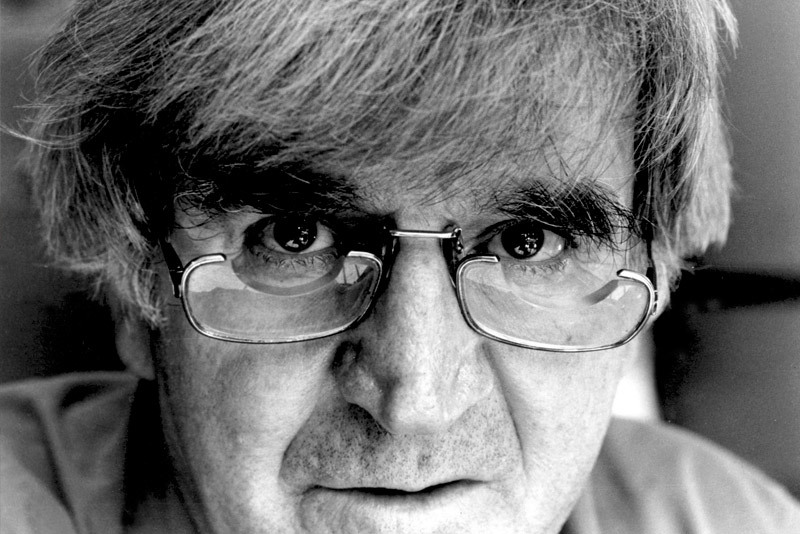 Created the Fred Hollows Foundation in 1992. Fred practised medicine in Auckland, Tauranga, Wellington, London and Cardiff. He studied ophthalmology at Moorefields Hospital in London before moving to Australia. Through the National Trachoma and Eye Health Programme, Fred worked extensively with 465 remote Aboriginal communities and checked more than 112,000 people. He found 50–80% of people had eye disease, a number that he set about reducing. He simplified operating procedures and gave sight back to many hundreds of people. He had a determination to bring modern eye health services to poorer communities and countries. One of the obstacles to their vision was the high cost of the intraocular lenses IOLs) used in modern cataract surgery, which put IOL implant surgery out of reach of most people in developing countries. By pushing boundaries and demanding change, the Fred Hollows Foundation opened modern intraocular lens manufacturing laboratories in both Kathmandu (Nepal) and Asmara (Eritrea) in 1994. They made IOLs for 3.5% of the cost of other lenses, and high quality, low cost IOLs became available. Millions of IOLs have been produced and allow eye surgery to be performed for about $25.